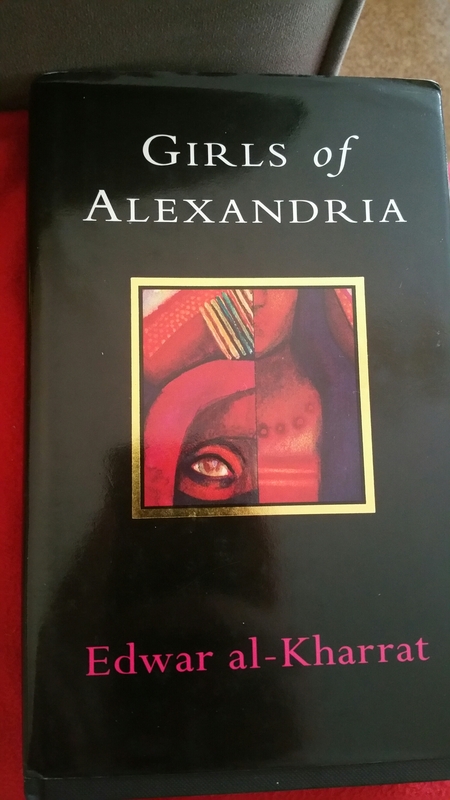 I had long want to try Albahari he is a writer that has always got good reviews over on the complete review with =three of his books getting -A score on the site. So when I saw this in the library system I thought be a great chance to read David Albahari A Serbian writer , who also translates books from English into Serbian, he has won a number of prize including the Ivo Andric prize .Plus this was also published by Margellos world republic of letters a imprint of Yale press that I have a fondness for . After that we visited the gray wolf, the buffalo, the bat, the golden eagle, the swan, and the hummingbird, and Daniel Atijas told me that the collection reminded him of a similar natural history museum in Belgrade, which he hadn’t thought of for years, and, come to think of it, he hadn’t been there for ages, for so long, in fact that he wasn’t even certain whether it was still up and running.But when he’d last visited, probably on a school trip, he had wanted to stay there forever. Well now globetrotter is one of those tricky to describe books as it is set in Banff in Canada at a yearly art event ,but is mainly about former Yugoslavia and the outfall of the recent war . A writer visits the art centre in Banff as a guest writer for three weeks. This writer Daniel Atijas is the main character but we see him through the eyes of the narrator of this single paragraph who is a Canadian painter he has painted many faces of Daniel as he is attracted to this man but as he painted the many faces we see the story of Daniel but also what lead to him being in Canada the war in Yugoslavia but also the writers place in the world he says how many writers have left their homeland become Emigre writers . Does distance and history change how a writer writes ? As the two grow closer the reader discovers more about Daniels past and what he sees as his future as a writer. 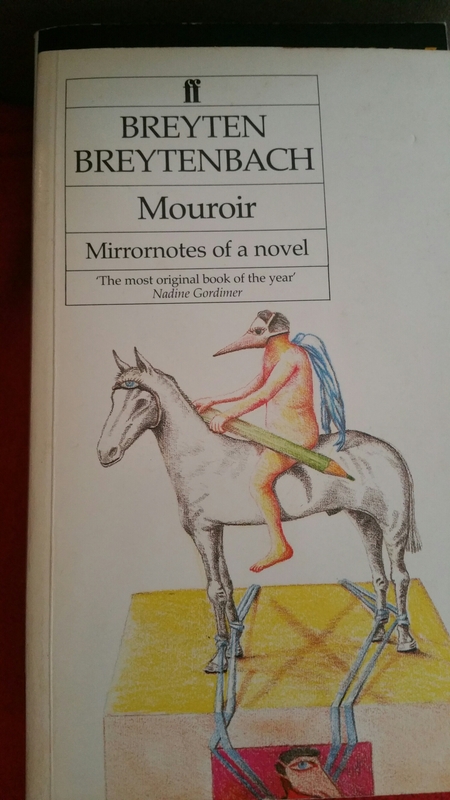 We also see a slowly unfolding love affair as the painter is so captured bu this Serbian writer and his tales but also by his face that seems to tell its own story . Daniel’s room, I noticed that my misgivings had been unwarranted. The grief was still there on the grandson’s face, but by then, if I can put it this war, his was only half the grief, the other half had slided over Daniel Atijas faces, at least for that evening and night, looked less and less like the face I had been drawing and because of which I was sitting where, by all accounts, I should not have been. The painter sees how the loss of a Croatian touches the Serbian writer when he is told by the grandson of the Croat . Have you read David Albahari ? 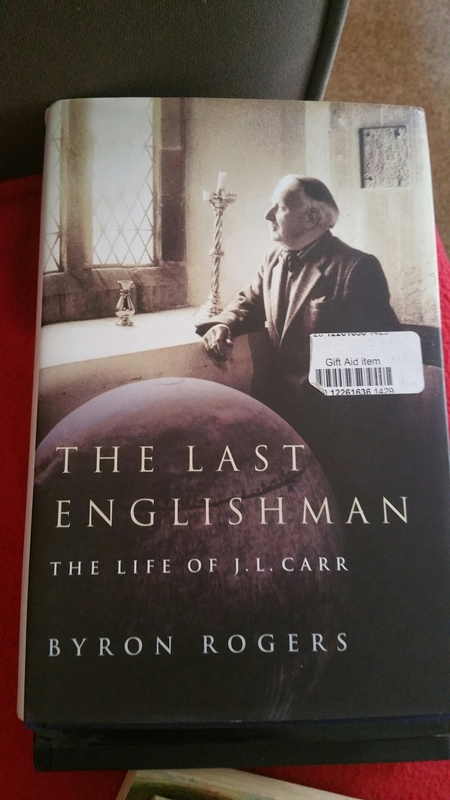 Its been a while since I reviewed a Pascal Garnier I have reviewed three of his earlier books , I have been lucky to been sent all his books by Gallic books and have read most of them he is always a joy to read. 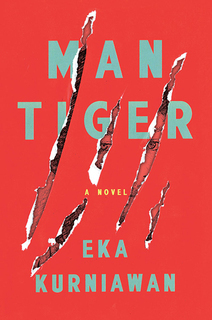 But a new year and a new cover on the series and this latest from the French Noir writer caught me from the blurb as one I would like. It is more than 6 years since he died, he wrote over sixty books it wasn’t til 2000 when the French publisher Zulma decide to collect his works under one publisher he had written books for various publishers over the years , this was published in 1999 a number of years before his death in 2010. She was one fo those people who had always been and would remain attractive in a wholesome, obvious sort of way. She never needed to give nature a helping hand. Just a touch of lipstick now and then when she and Charles went out of an evening, purely for the raspberry-flavoured kisses. Even the few wrinkles gathered around her eyes brought a new charm to her face. It was as though time had polished her with beeswax. Only Charles’ passing had slightly dulled the sparkle in her eyes, and placed her smile in permanent parentheses. eliette one those french woman who just look wonderful no matter what even at her age ! This is the story of one old woman, recently widowed Eliette , who lost her husband just before they where due to retire to their mountain home which they had spent many years doing up. Much to the dismay of her kids Eliette decides to carry on with her plans and she ends up in this huge house in the middle of nowhere. Her means of getting about is a small Aixam car (on a small aside I have seen these cars over the years and never knew they were french made ) which takes her on her weekly trip to the town to stock up , it is on one such trip that her vehicle breaks down just as she chanced on some new clothes to make herself feel younger and she meets the a stranger also stuck as his car has broken he helps her she then gives him a lift . Next day the son of a neighbour has been Killed in a bad hit and run, is it murder how did it could this good Samaritan be a killer ? He appeared to be in his forties, not very tall, not especially thick-set, with a baby face. His shoes and trouser bottoms were covered in mud. As he set to work on the wheel, the rain began to drop like a portcullis. Eliette could not tear her eyes from his muscular back, which showed through his sodden shirt . He was finished in under ten minutes. Her Hero or is he a kiler he helps her change the wheel on her car the next day a neighbours son is dead are the two connected ? This is a classic piece of noir a stranger appears next day some one is dead. But it is also a look at growing old eliette is a woman on the edge of being old see is trying to keep young hence the rebelling and living by herself so when a charming young man helps her by the side of the road her heart flutters a beat. I do often wonder if Tales of the unexpected was popular in France at the time it was first shown in the UK as I often feel Garnier has a touch of that series in his writing A story that starts of about an oldish woman retiring into the middle of nowhere then the car breaks down is like a classic framing device that was often used in the Tales series of programmes. 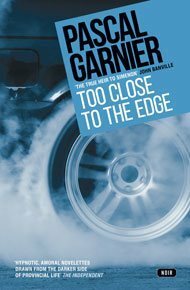 If you want a great piece of modern Noir Garnier is a must read I feel his books mix both the darkest parts of the human world and comic moments so well. Have you read Pascal Garnier ? Well I hadn’t planned to go to London book fair this year but I was very lucky to get an invite to the Man Booker international shortlist Party. So as LBF was on the same week I decide to have a wander round especially after I found that as a Book blogger we can get in for free. It was a nice chance to catch up with my favourite Publisher Susan from Istros books who just before the Fair announced that she was joining forces with the wonderful Peter Owen which gives them one the ,most passionate people in the book world in Susan to help them get them selves out there, A glance at Peter Owens backlist is enough to make you dribble!! Whilst at their stand I also had a great chat with the Croat Poet Aleksander Hut Kono who was doing his poetry at the LBF ,which he has translated him self into English. He also is an Opera Librettist. I saw the Large Books are My bag Bag at LBF . I decide to sit in on a translation session about how to promote books in translation mainly how to repeat the knausgaard effect(if only we knew hey) , I had want to ask How Ferrante sells so well is the opposite of being Knaugaard open and great to talk to also sells books maybe it is the narrative of the writer that sells . I felt a little more mention of some of the big sites online for translation would help. The editor talking about it only mention Lit Hub and Brain pickings ! , surely Complete review , three percent to name two would be worth a mention. Fiona gave a great chat about Knausgaard thou . I then decide to Have something to eat and make my way toward the Booker event I also had a quick look in the Oxfam on Kensington high street on my way to Kensington Palace. I had a coffee in a small cafe which by the food they were serving I will go to again the Cafe Diana for a meal having just had a snack. Then slowly walked to MAn booker event. I was among the first to arrive and Meet quickly David and Clare my fellow shadow bloggers I have met David before and it was nice to meet Clare and put a face to the blog so to speak. I also meet at last after nearly crossing paths over the years Simon of Savidge reads one the oldest bloggers about the net . I also had a good chat with Paul from Maclehose and a few other Maclehose folks who missed the actual shortlist but both their books are still on the Shadow Jury shortlist. We then listen to how Man booker had evolved into the new prize as the need was felt after the actual prize had changed its guidelines for all lit written in English to be included it was felt that the Man booker international prize had to evolve and so it took over the Old IFFP and set up a replacement for the old Man booker international prize that ran every two years and was award to a writer for the body of work . Please not the last winner was the wonderful Laszlo Krasznahorkai ! Then Boyd went through his and the Jury’s choices for the shortlist . Here is the shortlist . We had a few more drinks but I left early as I had a long trip across London and also a few hour train trip meant I wouldn’t be home till early hours friday. Tomorrow I am in London at the actual shortlist party and spending the day at London book fair. So as are tradition is we have announced the shadow shortlist , between the 8 members of our jury this year we have read 95 books each book had at least five people read them . So our shortlist is as follows tomorrow we will find out how our list compares to the actual list. That is our six it was very close with one book just missing by a hair making our six so from Japan to France we have our six. 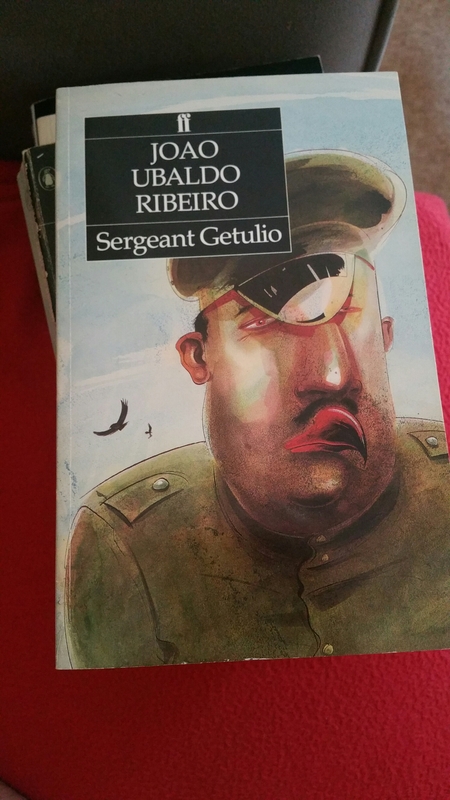 I’m not in mood to review a book so will go through a few recent buys from Oxfam first is the third book by Joao Ubaldo Ribero I have brought so I think a review of one of his books is over due this is set during the police state years of Brazils history. 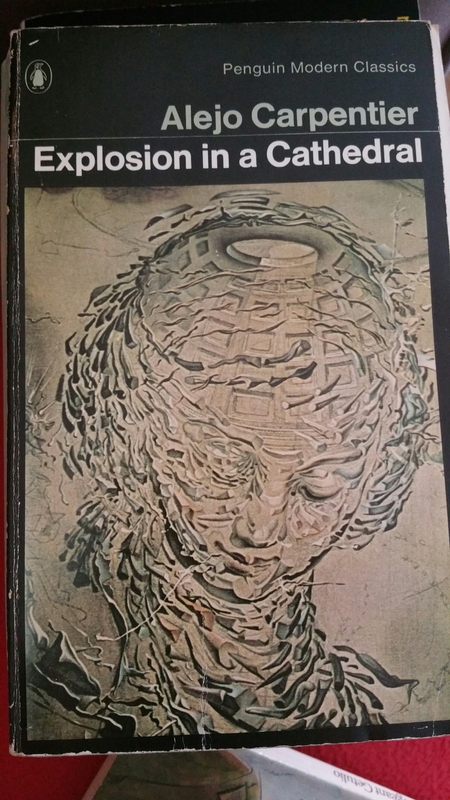 Next up is a Cuban classic Explosion in a Cathedral a classic I have been trying to read for a while so this old Penguin was a great find . The story of Hughes who becomes a revolutionary. Intimate stranger which Archipelago published they also have a copy of this book. A story of one man’s time in prison and how it can effect ones vision of time. 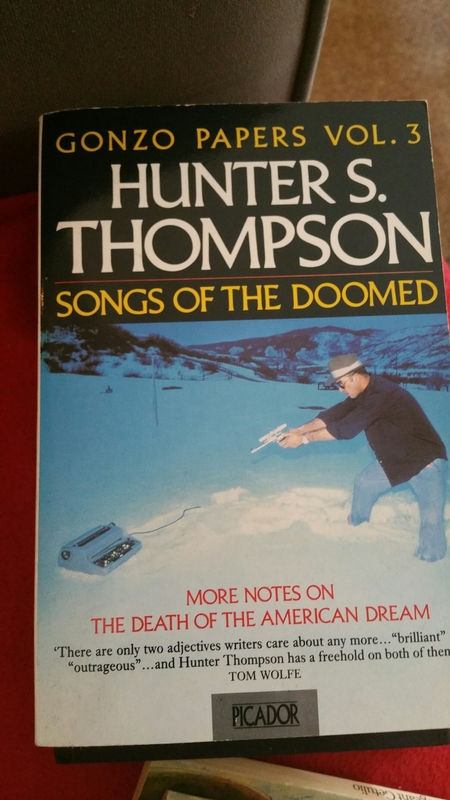 I grew up reading Hunter like many men in my generation this collection of his later journalist pieces is one I hadn’t read. It captured the best of the late years of his work . A month in the country is a classic gem and I have his other book how steeple Sinderby won the FA cup on my tbr pile which given Leicester dream season I may just read if they win the league this year. I also Brough this as it shares it’s title with the arthur Ransome Biography I read a few years ago. 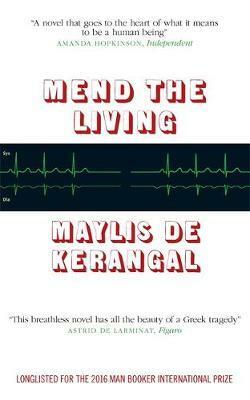 And in the end to Egypt in the 1930 and 40s with a modern classic of Arabic fiction.